I was at Radio Shack and saw these cable clips on the shelves for $5, so I decided on the spot that it was something that I should buy. Something I should buy. Okay I said that already. But it does ring a familiar note, doesn't it. Originally, I went to Radio Shack to pick up some electrical terminals. 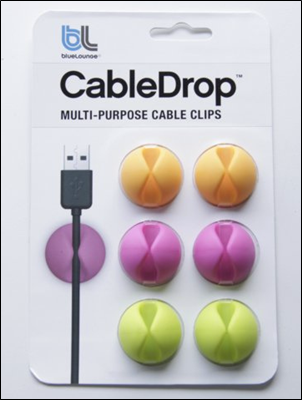 However somewhat like Jack and the Beanstock, I put these cable clips into my shopping basket. When the cashier rung up the cable clips, they were $7+ for the set. So I mentioned to the cashier that they were $5 on the rack just a minute ago. So, she walks over to the rack and finds that indeed cable clips are $5. But then she claims that she has to adhere to the official price $7 showing on her computer screen. "Even though the price is marked as $5?" I asked. "Ah huh," she responds. Obviously, having already spent at least $20 billion at this particular Radio Shack doesn't carry a lot of clout with the cashier. Neither does being an undercover corporate spy for Radio Shack checking up on the level of customer service impress her. I believe if the price for a given item is under stated on a sales flyer, than the store is legally bound to honor the posted price, but not in-store mistakes. Anyways, I decided to not buy the $7 cable clips. Went on the Internet and saw they were selling the same cable clips, 6 per set, for $10 with shipping. Darn, that was a good deal at Radio Shack. However, upon further scrutiny, I found another online retailer that was way below everybody else's price. $2.90 per set of cable clips with free shipping to boot. Available here, however the price has already gone up and no free shipping anymore. From what I've seen here in NYC so far, if something is marked at a certain price on the shelf, it doesn't matter what the computer says, the store is obligated to sell at the posted price. I've seen this argued out at various stores quite a few times. Those are some pretty nifty clips. I would prefer something that bundled a bunch together in one clip though, with zip ties holding them together behind the desk. Well, I don't really use a lot of cables anyway. I have one cable for my cooling pad that plugs into my USB port, my power cord, and my headphones. Mouse is wireless. David always find discrepancies at Kmart. But after they check the price on the shelf, they always override the computer and punch in the lower price. You gotta stick up for your rights. Rant, rave, criticize the store policy. Customer is always right, blah, blah, blah. Brad- these clips are more designer items I surmise to place on the desktop where house guests might notice them and it'll give them the sense that you have good taste. Myself, I'm using it for something unrelated to computers because the opening was about the right size and the holding strength was stronger than other clasps I've tried so far. That's mostly why I didn't want to spend $7 for something that might not work out for whatever reasons. gigi- I vaguely thought during the conversation that a posted price was as you say the over ride price of the two. But since I'm a regular customer there I gave the cashier the benefit of the doubt that she was not giving my the jive. Again, the operative words were "benefit of the doubt." The freakin beach. Nah, she, the cashier, isn't high wattage upstairs. You're right about not being not high wattage upstairs. Anyplace else thhat I know of, like Times, if they see the price on the item at the point of sale, they give it to you. Besides the casheir not being too bright, gotta fault the person who put out the price there or the person with the little gun who verifies the code. Nate- the odds are that she's the very one that does the inventory and pasting the labels on the racks. This was at the Kahala Mall Radio Shack and they don't have too many employees on the floor. Wow - I just found those on eBay for $.97 for a package of two with free shipping. I got three packages. I hate all these cables everywhere that fall to the ground when I move my laptop. Way to go, bruddah! If it's marked as $5.00, they should have sold it to you for $5.00! That's ridiculous! Isn't there some kind of rule about that? 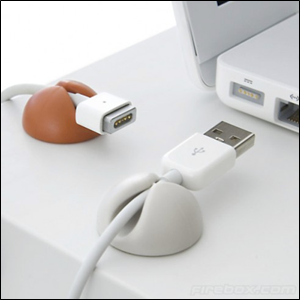 Whatever the case, those cable clips are really cool. Kay- I'm really unclear if it's a state law or varys with individual store policy. I kinda felt sorry for the cashier, not that she may get terminated for making the store lose money, but because she stupid. Ann- hey, a great deal doesn't hurt. Half the things I get around the apartment, never been used, started life off as great deals, LOL. Found a set on ebay for 99 cents.